Showing results by narrator "Clarkie Brown"
Underneath the wooden deck, the small kitten did shiver. But knew it was time for it to be delivered. With a tiny little voice, which matched its tiny little body, it let out a short little "mew" to be heard by anybody. 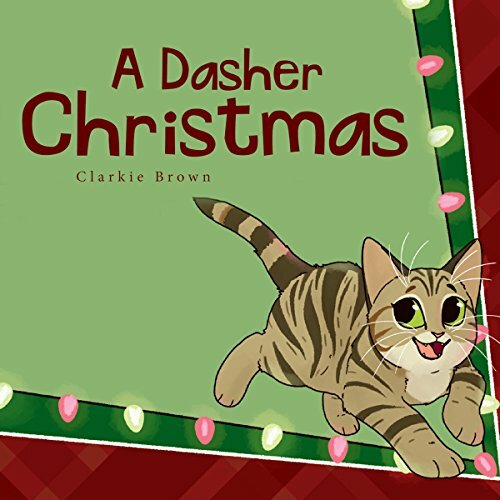 Based on a true story, A Dasher Christmas tells the heartwarming tale of how Dasher the kitten is sent to comfort a family one holiday season. Proceeds will go to New Life Home Trust and Renguti School in Kenya, Africa, serving abandoned and orphaned HIV-positive babies. Learn more at: www.newlifehometrust.org.